Since I moved to California, I’d assume it’s surprising to hear that Alaska was on my bucket list. I researched the top tourist things to do in Anchorage and booked a full day of adventure and sightseeing. 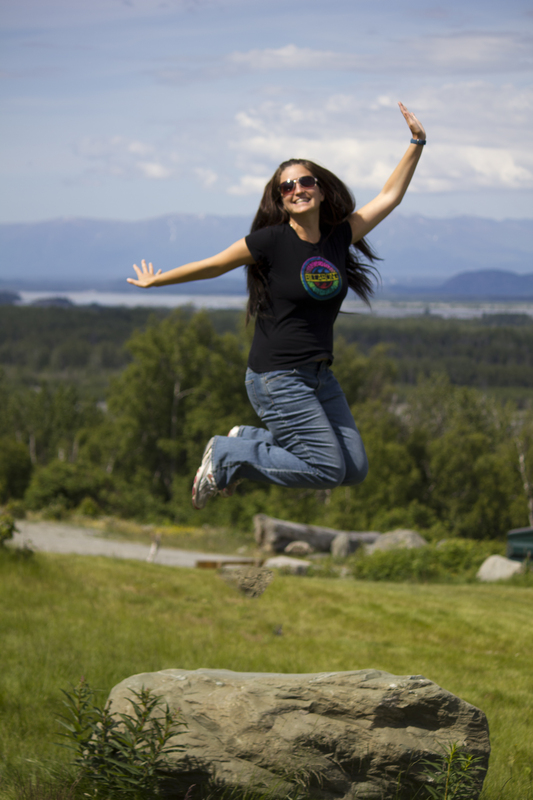 The great thing about summer in Alaska is the 20 hours of daylight allow you to be a hyperactive tourist. Crossing off bucket list items is easy when you have 20 hours a day. I’m sure winter in Alaska is a different type of magic but we found so much in Alaska’s summer. By exploring the Anchorage Market & Festival in the morning, participating in the Ridgeline Aviation Helicopter, Glacier & Dog Sledding Tour in the afternoon, and finishing the evening by viewing the splendor of Turnagain Arm by Alyeska’s Aerial Tram, we managed to cover more ground in one Saturday than most people experience in a week. This is Alaska the hyperactive tourist way. 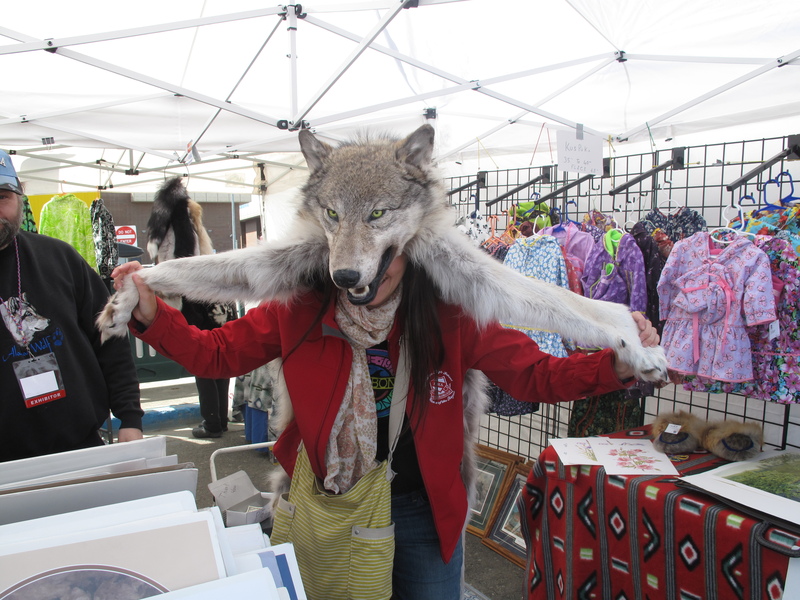 Every summer Saturday and Sunday, more than 300 vendors take over 7 acres of downtown Anchorage selling Alaskan-made goods and food from all over the world. I wasn’t exactly in the market for a “fur”. A painting or handmade jewelry was definitively on my radar though. We found a nice mix of mid-priced items as well as inexpensive keepsakes. I settled on the first set of pearls that I saw. I also found a framed photo of the Northern Lights over the Anchorage sky. The music and dancing performances kept the market lively and the mini stage performances were funny and creative. 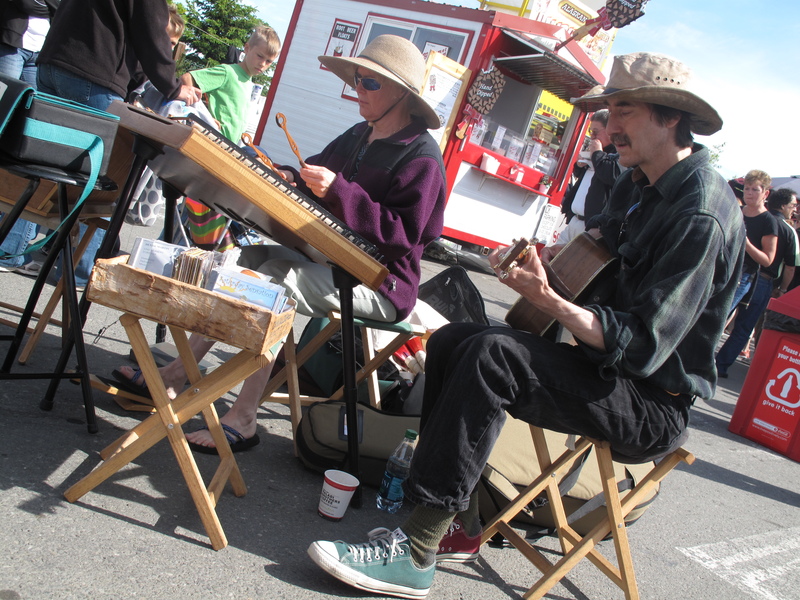 The festive atmosphere, free entertainment and downtown setting make the Market a must-do if you’re visiting Anchorage. With a helicopter tour in our sights and dog sledding on our minds, we set out for Knik River Lodge. We were ready to meet with Steve from Ridgeline Aviation. 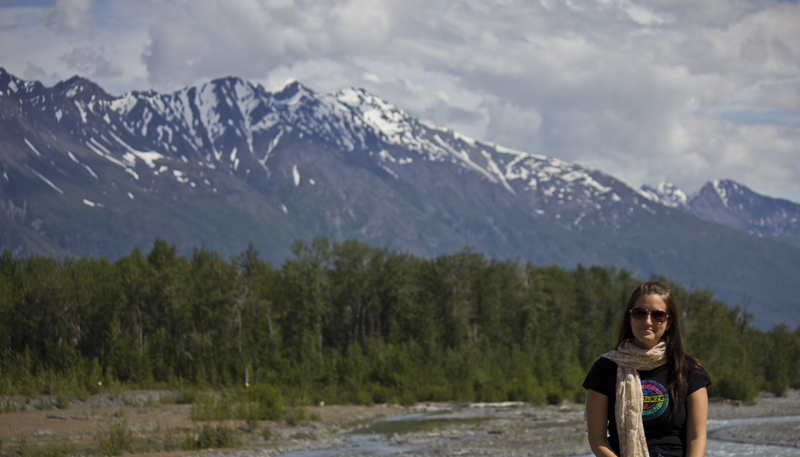 Knik River Lodge is an hour drive from Anchorage. Picture yourself driving along the Glenn Highway in Alaska pondering the serenity of the wilderness, watching for their resident moose, and smelling the scent of wildflowers in the clean, fresh mountain air. It was during this drive that we experienced the vast, majestic and awe-inspiring place that is considered America’s “last frontier”. 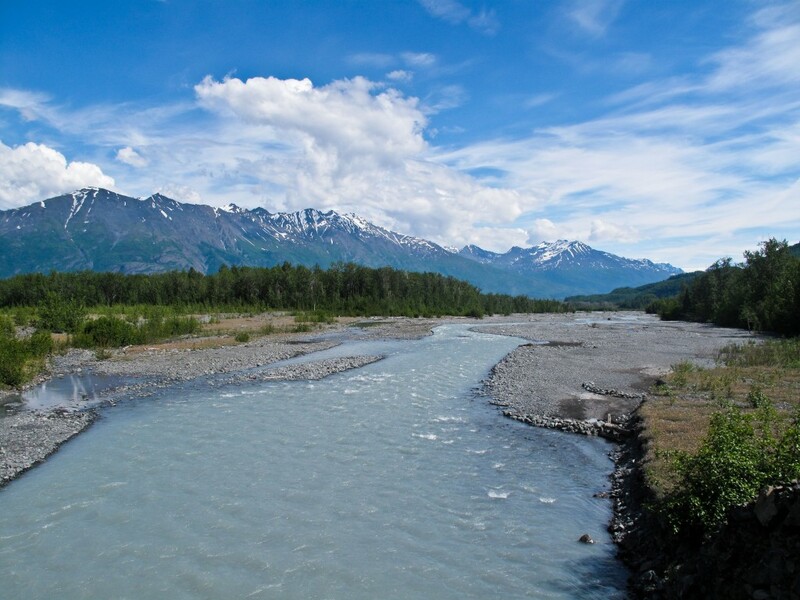 Knik River Lodge is remote enough to be true wilderness. It is perfectly situated for exploring South-central Alaska, and when we stepped out of our rented car, we became part of the magical world of snow, glaciers, and massive, majestic mountains. Traveling by helicopter allowed us to cover spectacular scenery and amazing, unique opportunities in one event. The deep blue pools and white ice are a memory I’ll never forget! 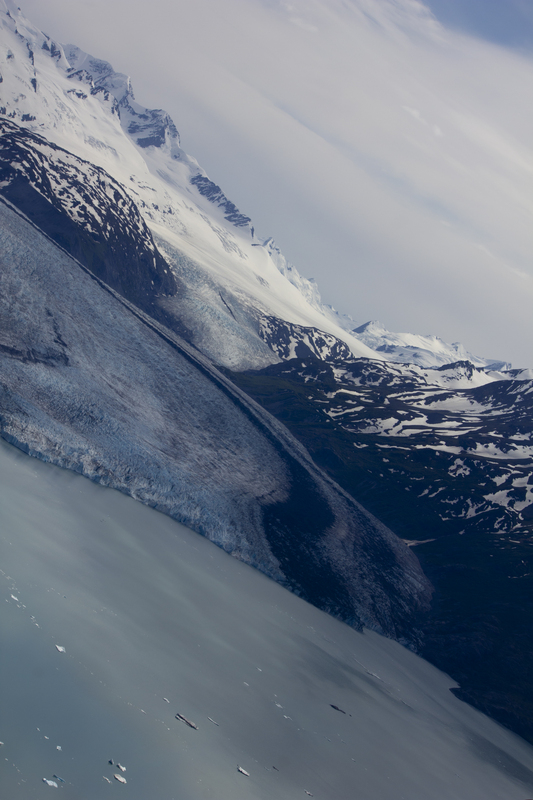 Pristine beauty, majestic mountains, and ancient glaciers were seemingly within arm’s reach as we approached our destination. Our visit to a dog camp tucked up in the Colony glacier was a new adventure for both Darren and myself. 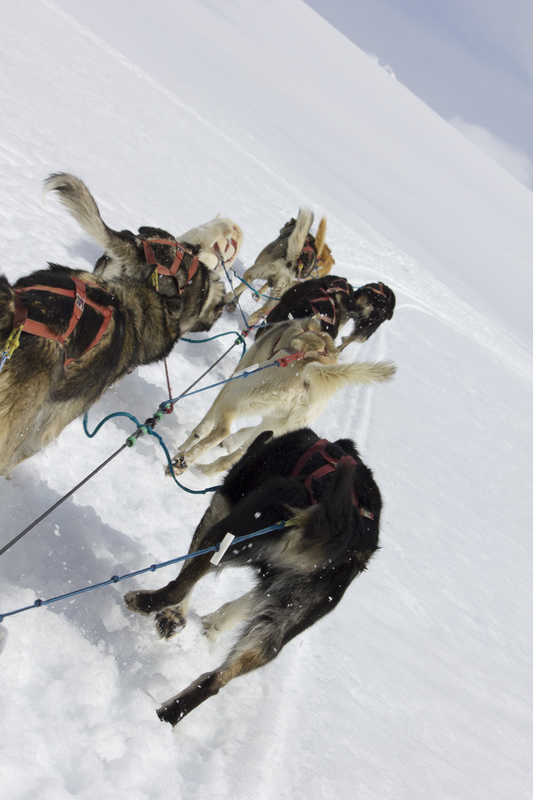 On the glacier, we waited to share an essential part of Alaskan culture… Alaskan dog mushing. Our hour on the glacier included harnessing the dogs, mushing around the base of a natural amphitheater nestled at the base of Mount Gannett, and taking in the stillness and beauty that was all-consuming. The thrill of standing on the runners of a dog sled with a team of huskies loping across the ancient snowfield grounds created the ultimate Alaskan adventure. 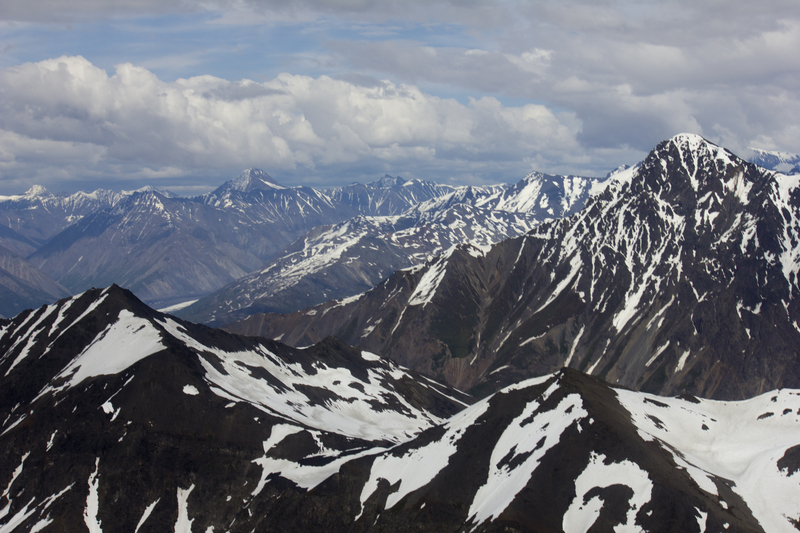 Our journey with Ridgeline Aviation took us 50 miles north of Anchorage; our next stop, The Alyeska Resort Aerial Tramway, was 45 miles south of Anchorage so we had a long trek ahead after an already adventure packed day. Spectacular mountains rise both on the far side of Turnagain Arm and on the east side of the highway, and the road parallels the tracks of the Alaska Railroad most of the way making the 2 hour drive from north to south seem more like 20 minutes. 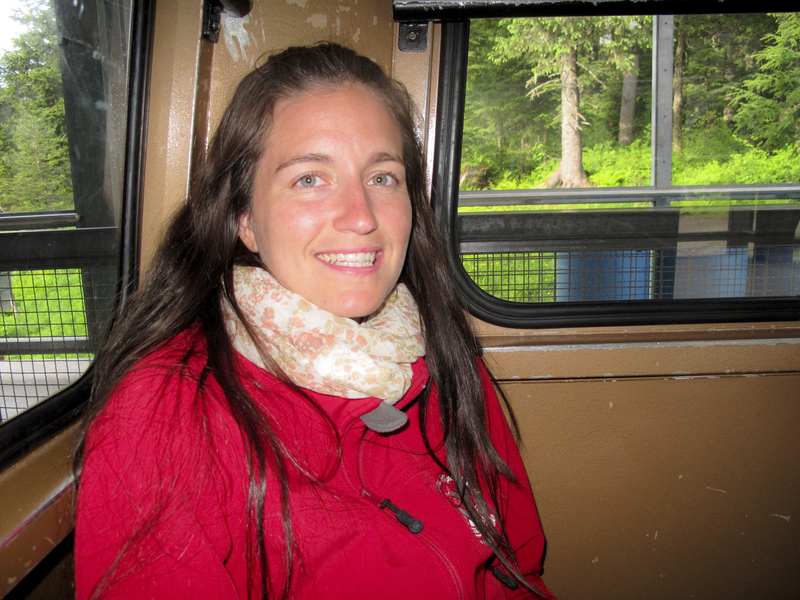 The Alyeska Aerial Tram is a seven-minute scenic ride from The Hotel Alyeska to 2,300 ft in elevation and the top of Mt. 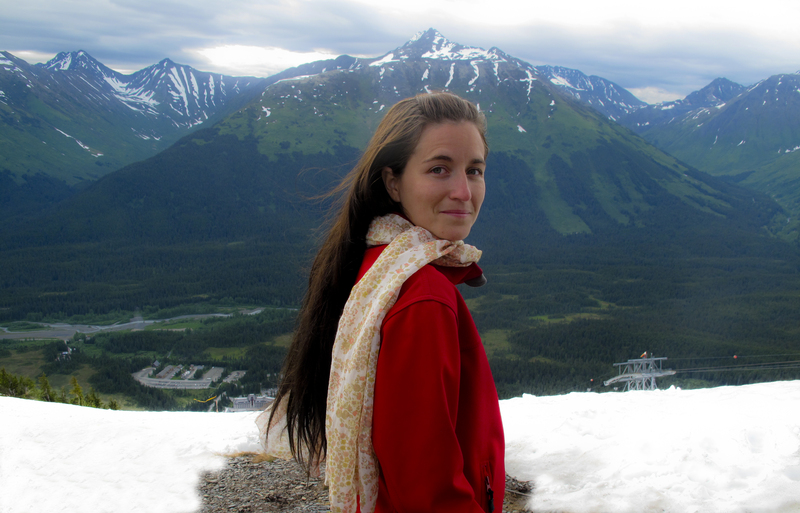 Alyeska. We picked up our discounted tickets, $10 each, since it was an evening tour and found our way to the base of the tram. From the Tram, we could see miles in all directions. There were views of the Turnagain Arm, seven “hanging” glaciers, and endless peaks deep into the Chugach Mountain range. At the Upper Tram Terminal, we enjoyed the observation deck that provided even more breath-taking panoramic views. 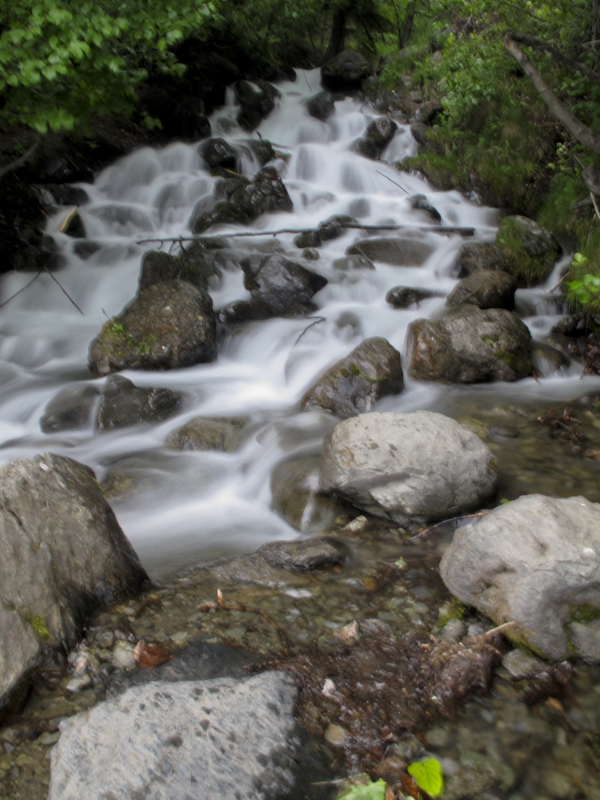 Majestic mountains, hanging glaciers, sparkling streams, and towering spruce were in our sights. It was a high contrast to the southern Californian surrounding that have become part of my daily views. The return drive to the hotel gave us time for reflection. In 14 hours, we’d experienced the real culture and people of Alaska at the Anchorage Market & Festival; we’d be dog sledding and glacier touring with locals through Ridgeline Aviation; and we rode to the top of the world on the Alyeska Resort Aerial Tramway. Even for hyperactive tourist like ourselves, we felt accomplished. I had the adventure I was searching for in Alaska! ***Are you a hyperactive tourist when you travel or do you prefer a more relaxed way of travel? 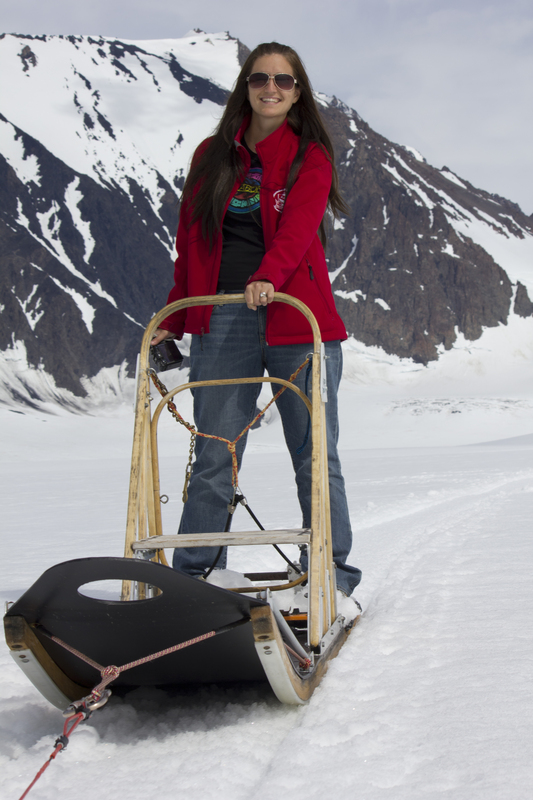 Put Alaska on your bucket list and you’ll accomplish more than you imagined possible.